Flows are a really great way to engage people, making it easy for them to have natural two-way conversations. But what if your conversation starts to be one-sided? Some folks just aren't great conversationalists after all. Several of you have asked for a way to expire people out of flows if for some reason they stop responding. Today, we're launching a new feature that moves contacts out of flows if haven't responded for 12 hours. Your existing flows will continue to behave as they always have. 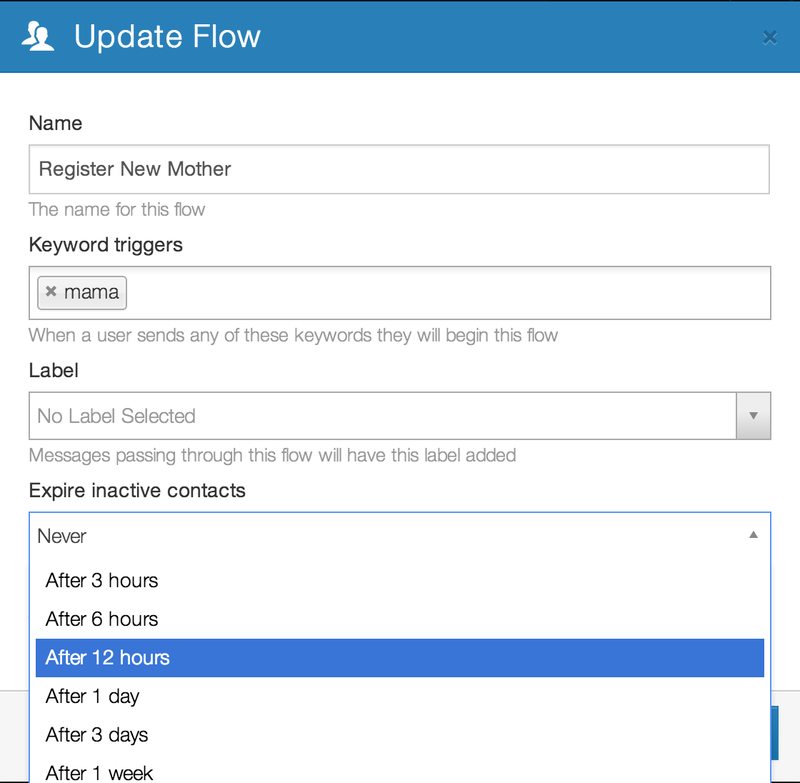 However, you can opt-in to this new behavior for any of your flows by visiting the flow edit dialog and choosing an appropriate expiration for inactive contacts. As always, we love to hear how all of you are using TextIt and how we can improve it to better fit your needs. While it's a bit cliche to say it, we really mean it -- absolutely do not hesitate to reach out to us. We are happy to provide our feedback on your next SMS project. You can always reach us at info@textit.in, it'll go right to our inbox.